Hey folks! How’s everyone doing on this fine day? 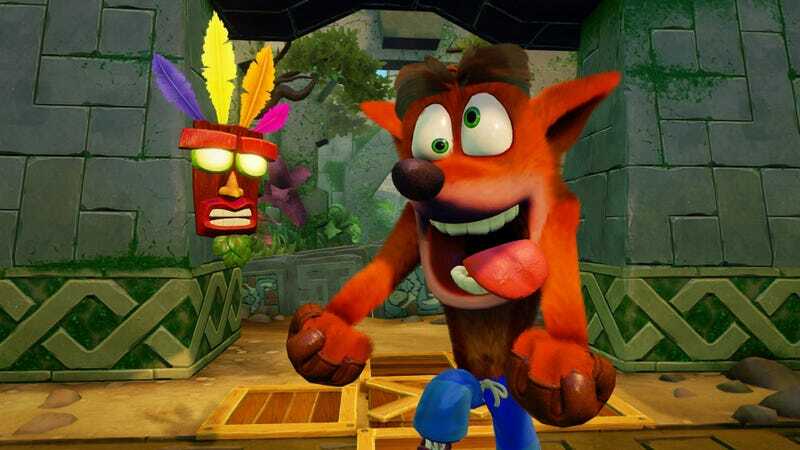 The Crash Bandicoot N. Sane Trilogy has been out for more than a week now, and many people have been reliving their childhood or experiencing it for the first time. The general consensus is that it’s pretty great, but it’s lacking something from the original games. Maybe it’s players rose tinted glasses, or maybe there is something lacking. What do you guys think? I don’t have it so I can’t say. - What’s the best/worst remake/remaster/reboot you’ve played? - Best song covers? Covers that are better than the original? - Pokemon SoulSilver, Ratchet & Clank and Metro Redux are all fantastic, and, like I mentioned, the Silent Hill HD Collection is awful. Last of Us Remastered was a perfect remaster. - Jack Whites cover of Love is Blindness is better than the original U2 song, and The Killers cover of Four Winds is a different but great take on the Bright Eyes track.